With the New Year upon us, comes the perfect time to begin to implement healthy changes for ourselves and our family. One of the most fundamental, but often overlooked cornerstones of health, is sleep. As moms, we often could sleep very well, if only some little person would let us. However, bedtime battles and multiple night wakings can really impact the quantity and quality of sleep that we get. That you can improve your child’s sleep rather quickly, and therefore yours as well. 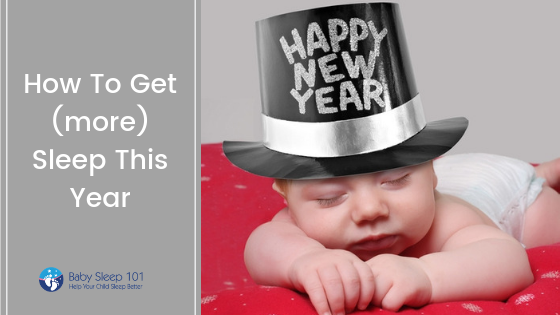 Start 2019 off right with a resolution to help get your child to sleep more solidly than last year. 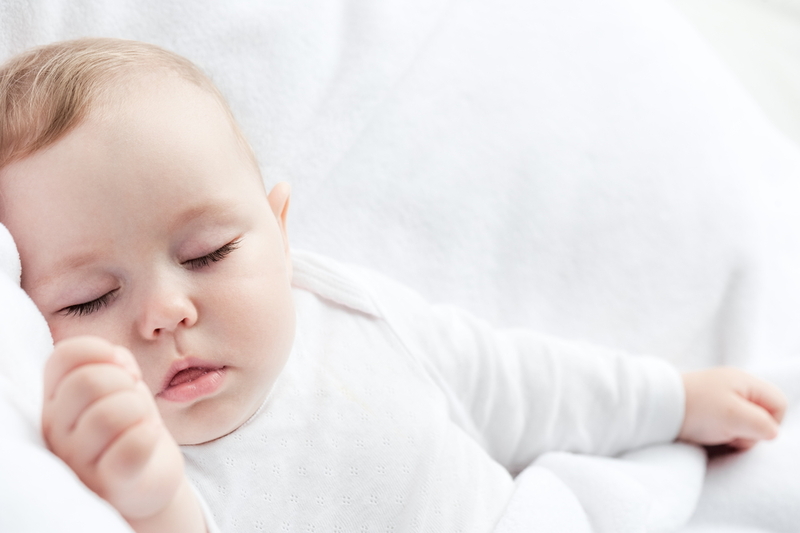 Unlike popular resolutions that add more to-dos to your already busy life, instilling a sleep routine for your baby or child will actually simplify your life by creating a daily rhythm. Why Start a Sleep Routine? Routines give definition and structure to your day. They allow you to plan outings when your child will be the most content. They also leave you with more time to do nothing but relax, instead of trying to get your child to sleep. Either way, a child who sleeps better, will make your life easier. And as a mom, that’s always a great thing. Look at your calendar and pick a time when there will be few interruptions. To help your child get used to the new routine, it’s important to be home for naps (for the majority of the time), rather than in the car or at someone’s house. Not only does this help to instill the routine, but it also encourages healthy and restorative sleep that isn’t taken on-the-go or prone to interruptions. When trying to help your child to sleep better, the primary focus should be their daytime routine. If you’re unsure what routine is best for your child, start with documenting their day. This includes wake ups times, their mood throughout the day, meals, diaper changes or potty times, naps and bedtimes. After 4-5 days of documentation, review the information and see what patterns you notice. Compare your child’s wake periods (and the resulting nap lengths) with this wake time infographic. If you are noticing many naps that are only about 40-45 minutes in length, your child is going to sleep easily and waking up content, she may need a touch more play time (AKA: activity or wake time) before her nap the next day. However, if the documenting reveals naps that are only 20-30 minutes in length and are loaded with crying-both before and after a nap-then the wake time may be too long. There are other factors that can contribute to short naps, such as sleep associations and overtiredness, but this is a general guideline to start with. Write out a new routine and post it in a highly visible location. For toddlers and preschoolers you can add pictures and make it into a poster for their room. Develop a simple pre-sleep (often referred to as a wind down) routine and do it before each sleep period. Keep is short, simple and easily to adapt between caregivers. When a wind down routine is performed before every sleep time, it helps to cue your child’s brain to settle down for nap or night time. This makes your job so much easier as the wind down routine helps your child understand that sleep is about to happen. They will begin to look forward to their naps and bedtime, thus ensuring a much smoother sleep time process for everyone! The best place to start a new overall daily routine is at the beginning of the day. Does this mean you have to wake your child up? If your child is 4 months or older, sleeping past 7:45am and you’re trying to establish a new routine, then regulating morning wake up time may be needed. This may surprise some parents who think that bedtime is the best time to start, but that’s usually only for changing sleep habits. When we alter an overall routine, however, starting early is an easy place to set the tone for the rest of the day because of how daylight interacts with your child’s brain throughout the day. The sun has a powerful influence of our internal rhythms (sleep, hormones, temperatures, etc.) and it’s easier to work with it, than against it. By regulating the morning wake up time, you will keep your day on track, rather than starting at bedtime. Like any changes we make this year, we must continually work at them in order to see the results. Getting your child to sleep is no different. Being consistent will help your family quickly adopt the routine so it becomes second nature. In only a few weeks of sticking with your child’s new routine, life will be easier as your child will quickly and easily go to sleep. If you have one day that goes off track (or several weeks! ), don’t worry about it! Get back to the new routine when you can. Any change you make toward’s your child’s sleep health is better than no change at all! Tired of figuring out on your own? Don’t have the time to figure it out on your own? Book a consultation and I’ll help you start the year off right-healthy, happy and well-rested! Don’t forget to also join the Baby Sleep 101 Facebook page and have access to weekly live (and FREE) Q and A events! Tongue Ties+Lip Ties; A Hidden Cause of Poor Sleep?